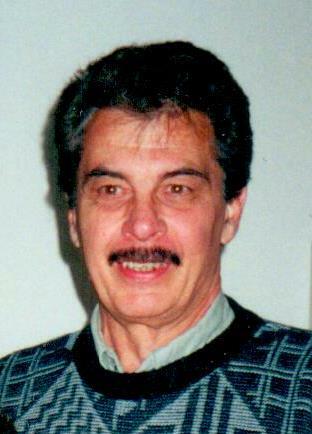 Stephen P. Marcolini, age 77, of Winona, passed away on Sunday, January 20, 2019, at the Gundersen Health System Hospital in La Crosse, WI. Steve was born on June 16, 1941, in Winona, to Bruno and Margaret (Reinke) Marcolini, and honorably served his country as a translator with the United States Air Force. He received his degree in Education from Winona State, and taught English and Spanish with the Alma Area Schools. He was also employed for many years as a dispatcher with the Winona Law Enforcement Center. Steve had a great sense of humor, and always loved a good joke or pun. He will be remembered for his love of watching the Minnesota Twins, listening to the news on his radio, and sitting in his driveway drinking coffee. He enjoyed cruising around town in his classic cars, and was proud of his Buick Le Sabre and Chrysler Le Baron convertible. He will be deeply missed by all those who knew and loved him. Steve is lovingly survived by his children: Tony, Lisa (Brian Stemper), and Angi; granddaughter: Sydney; niece: Samantha; as well as other relatives and friends. He was preceded in death by his parents, and a sister: Patricia Spear. Visitation will be held from 4 PM until 6 PM on Friday, January 25, 2019, at the Watkowski-Mulyck Funeral Home. A private family service will be held in the spring. Online condolences or memories may be left for Steve’s family at www.watkowski-mulyck.com.